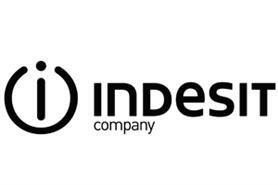 Indesit Company is holding a client event for around 100 guests at Kempton Park racecourse tomorrow (30 September). Comet, Currys, B&Q and Homebase will join representatives from Indesit Company for a sponsored race night event at Kempton Park, in Surrey. BSI was appointed in May to organise the event, which involves a full hospitality package for delegates, as well as races named by Indesit Company to reflect its brands. BSI senior event manager Kate Donovan said: "Indesit has never done racing before; it is a different way for them to engage with their clients." Delegates arrive from across the UK tomorrow and will stay overnight at the London Marriott Hotel Twickenham following the race night. Indesit Company events manager Jayson Weston said: "It is a chance for us to say hello to our clients, instead of it always being about business. We are looking more at doing hospitality with our customers." Arena Leisure last month reported a 13% rise in corporate hosptality across its seven racecourses.